The Abortion Rights Campaign [ARC] have joined with Pro-Choice groups across Ireland and Northern Ireland for a series of events observing the Global Day of Action for safe and legal access to abortion on Saturday 28th of September. After the inadequate legislation passed in July, Ireland is ready to take the next steps toward securing free safe and legal abortion access. 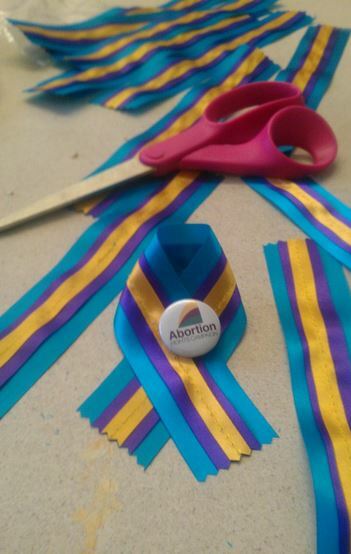 Sarah Malone ARC spokesperson commented “We continue the fight to secure the right to abortion for women in Ireland. It can be easy to forget about the 12 women a day who walk out of their houses and travel to England, the women who collect their abortion pills from the post, the women who set off for other European countries to access a medical service they need at home. It is only through raising these needs that we will remind politicians and the whole country that we will not let these stories stay silent and we will not let government continue to shirk their duty to the thousands of women in Ireland. Saturday’s March for Choice represents a crucial step on the road to safe and legal abortion in Ireland.